We launched our Women’s team in August 2014, hosting our first Rookie Camp on a Wednesday night 6 people attended keen to try a new sport. GB Captain Pheobe Schecter and our first Women’s Team Manager Danika Scargill were joined by rookie players Louise Fitsimmons, Verity Brawn, Rebecca Ashworth and Jessica Bennett. 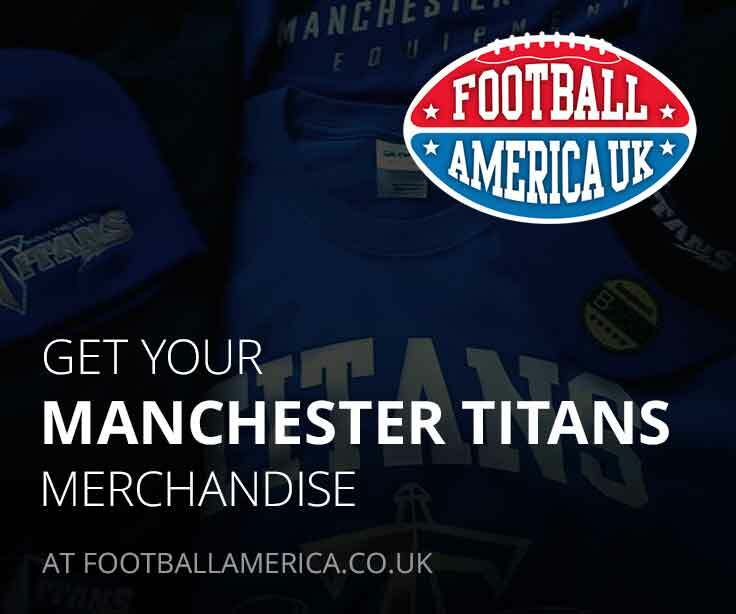 Within weeks that number had grown to nearly 30 people training twice a week and the Titans had a squad ready to enter into BAFA’s Women’s competitions. 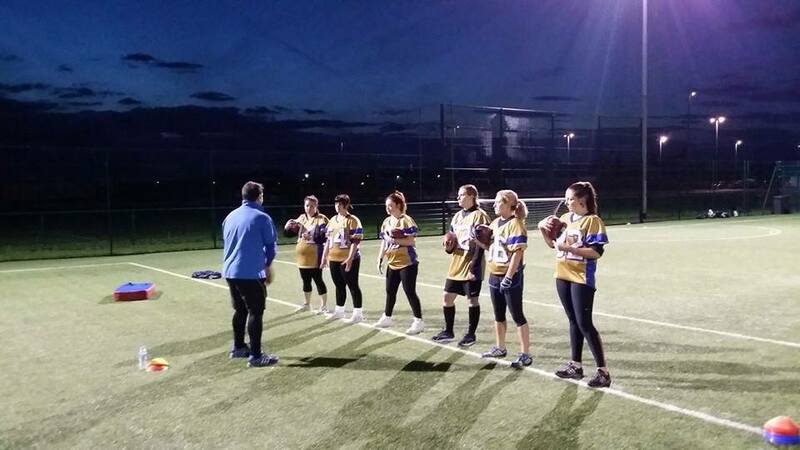 BAFA runs both Flag and Contact competitions for the Women’s game, the flag tournament is called the Opal series and runs in the Autumn with the Contact competition called the Sapphire Series running in the Spring. Both these series are played at 5v5 or 7v7 formats of American Football. In the Summer BAFA runs the Diamond series which act as North v South All-Star games played at 11v11 and the GB Women’s team selects it’s players from these squads. 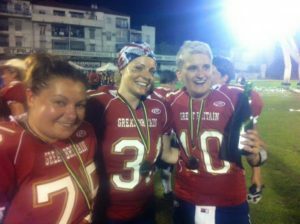 In 2015 three Titans; Sian Perry (QB), Louise Fitsimmons (OL) and Emily Parkinson (LB) were part of the GB Women’s squad who won the Silver Medal at the inaugural Women’s European Championships. 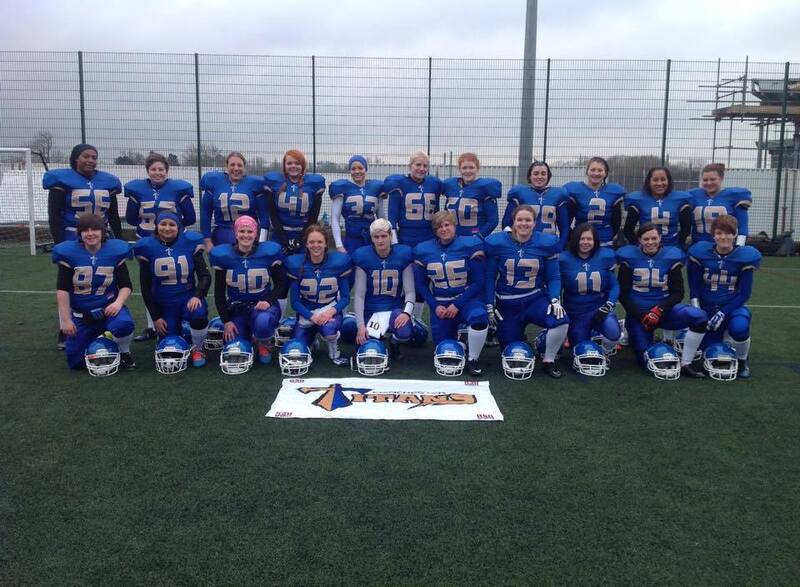 In 2016 4 Titans made the Northern BLizzards Squad, Verity Brawn (OL), Sian Perry (QB), Roz Breaks (DB) and Eloise Walsh (LB) were joined by Women’s Head Coach Jonathan Homer on the Northern Roster. In October 2014 we entered our first Opal Series tournament winning our first two games against Pourtsmouth and Gloucester before losing to reigning National Champions Coventry. This set the tone for a great first season, finishing 3rd in the Northern division we qualified for the National Finals finishing ranked 6th overall. The following Spring they entered the Sapphire series playing contact American Football for the first time. A first win came at home against Sandwell and more followed, the team finishing their first season ranked 8th in Britain. The 2015/16 season saw the team and the sport grow further in the UK. The Titans again entered the Opal series this time finishing 12th as the number of flag only teams rose. The format of the Sapphire series, which had previously only been played at 5v5 level, changed to include a top division of teams playing at 7v7. The Titans were one of the teams selected to join the top division, ranking 5th nationally after a tough season playing against the best teams in the country. One positive was Titans play Fern Elliot who was voted as runner-up in League MVP. 2016/17 saw a strong recruitment drive with the Titans targeting a return to winning ways. With the women’s game growing fast there were more teams than ever entering both the Opal Series and the Sapphire Series. While being a contact focussed team we still entered the Opal Series (flag), a 7-5 record in Opal gave the team a 7th placed ranking racking up an impressive 265 points. 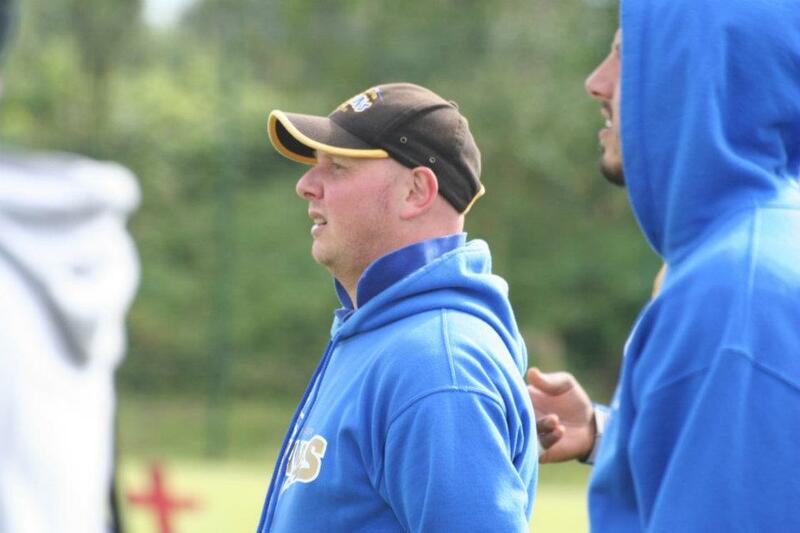 An expanded Sapphire Series saw the Titans enter the Northern Conference with Leeds Carnegie, East Kilbride Pirates and Edinburgh Wolves. 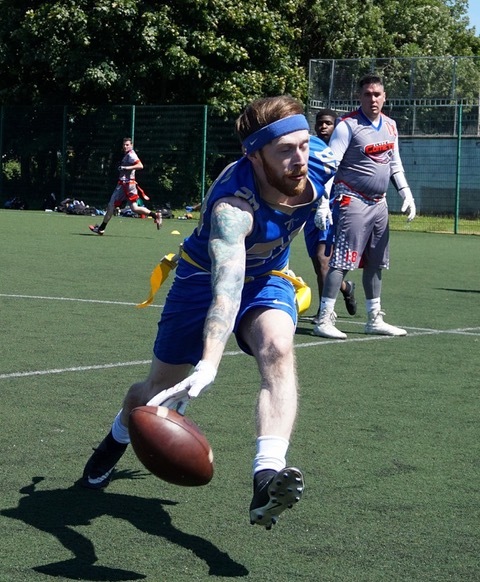 The seeding in the competition also meant that the Titans inter-conference games were against the 1st and 2nd placed teams from 2016; Birmingham Lions and Hertfordshire Tornados. The team’s 2016 experience paid off and they made the National Finals weekend, ultimately finishing as the 4th best team in Great Britain.